As I remembered, our objective for the trade fair was to branding our business to the public. 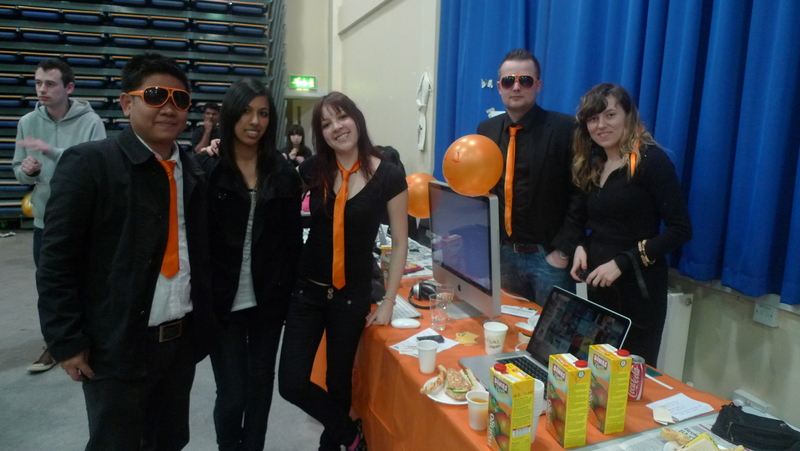 Everything from our outfits, table clothes and drink ….it represented Mango!. Even though we hadn’t won the awards, we had two customers who interested in our business and we might contact them in the near future if we will be continuing our business. Also, I have seen other BA students businesses. The one that won the prize was very interesting in term of ideas and how they actually made it to sell in Amazon.com (and how they bravely invested to have their book published). I have learnt that we cannot think that we are perfect or better than others, we have to think like there are always someone who are better than us, so we are always improve ourselves to compete them.